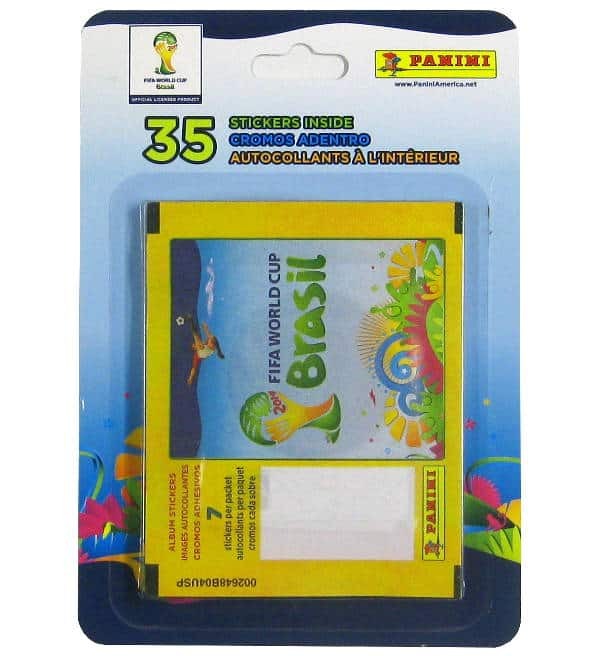 Blister with 5 packets of Panini World Cup 2014 stickers collection version USA / Canada. The special thing about it is that each packet contains 7 stickers instead of the usual 5. Furthermore, they have no bar code and they are printed horizontally. 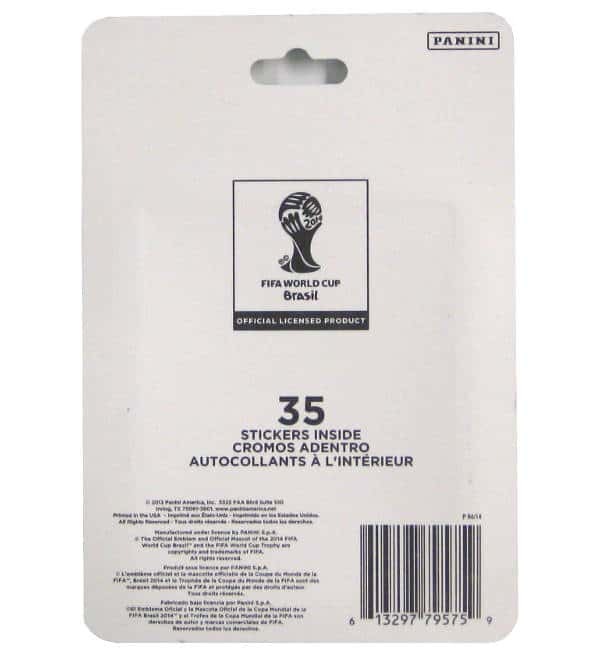 This blister contains 35 stickers in total.